The Royal Crescent is a residential road of 30 houses, laid out in a crescent, in the city of Bath, England. Designed by the architect John Wood the Younger and built between 1767 and 1774, it is among the greatest examples of Georgian architecture to be found in the United Kingdom and is a grade I listed building. It was originally called just The Crescent and the adjective Royal was added at the end of the 18th century after Prince Frederick, Duke of York and Albany had lived at numbers 1 and 16. Wood designed the great curved façade of what appears to be about 30 three storey houses with Ionic columns on a rusticated ground floor. The columns are 30 inches (76 cm) in diameter reaching 47 feet (14.3 m) and there are 114 in total, each with an entablature 5 feet (1.5 m) deep. The central house has two sets of coupled columns. The houses in the Crescent are a mixture of tenures — most are privately owned but a substantial minority of the property is owned by a housing association. Number 1 Royal Crescent is a museum, maintained by the Bath Preservation Trust, which illustrates how wealthy owners of the period might have furnished such a house. It was purchased in 1967 by Major Bernard Cayzer and donated to the trust with money to restore and furnish it. I toured Number 1 and thought that it was remarkable. The art and furniture that is displayed within is all period, and quite interesting. They had Hepplewhite chairs, a Chippendale picture frame, and a variety of portraiture, all of which must be worth a mint. The tour guides were very informed and I enjoyed chatting with them, and asking questions. 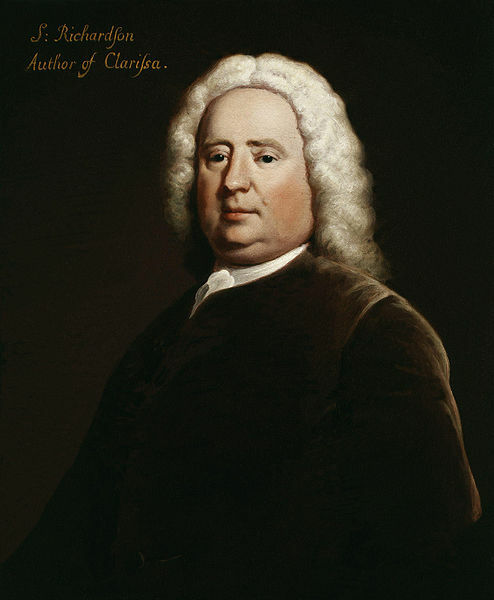 I identified one portrait of Samuel Richardson as the author of the epistolary novel "Pamela". When I read the book many years ago, I never knew what he looked like, but the picture fit the profile of a bourgeois 18th century novelist perfectly. I could imagine that he would be the type of man who would have taken up residence in a place of this sort, and I found it rather amusing. Each one of these 30 residences has seen so many characters come and go, "if only the walls could talk". From decadence to decay to contemporary "moderate respectability", these historic buildings have demonstrated a resilience that is amazing. The character of this building is the sum total of hundreds of life experiences, love and grief, hope and despair, encapsulated in stone. The Circus is a nearby example of similar Georgian architecture designed by John Wood the Elder. Nice place to live 250 years ago, and even today, very nice place to live. For a mere 450,000 GBP, you could own a 2 bedroom flat here. Small price to pay I think, (if you have that kind of money). This is a random street photo of Bath's market area. If you look closely, you can see a supermodel in the center of the picture and her assistant two steps behind her with a fur cap on. Until she walked past me, I didn't realize who I had just taken a photo of completely by chance. There is all kinds of scenery here!